A new tool enables researchers to test millions of mutated proteins in a matter of hours or days, speeding the search for new medicines, industrial enzymes and biosensors. All living things require proteins, members of a vast family of molecules that nature “makes to order” according to the blueprints in DNA. “Evolution, the survival of the fittest, takes place over a span of thousands of years, but we can now direct proteins to evolve in hours or days,” said Jennifer Cochran, an associate professor of bioengineering who co-authored the paper with Thomas Baer, executive director of the Stanford Photonics Research Center. “This is a practical, versatile system with broad applications that researchers will find easy to use,” Baer said. 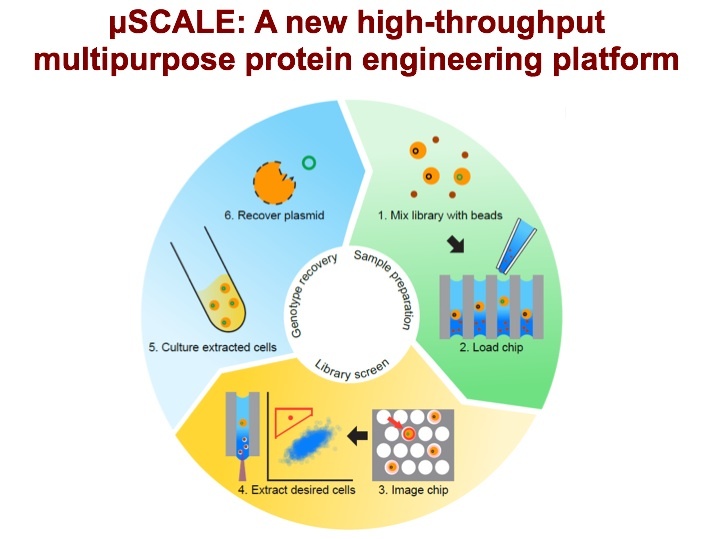 By combining Cochran’s protein engineering know-how with Baer’s expertise in laser-based instrumentation, the team created a tool that can test millions of protein variants in a matter of hours. “The demonstrations are impressive and I look forward to seeing this technology more widely adopted,” said Frances Arnold, a professor of chemical engineering at Caltech who was not affiliated with the study. 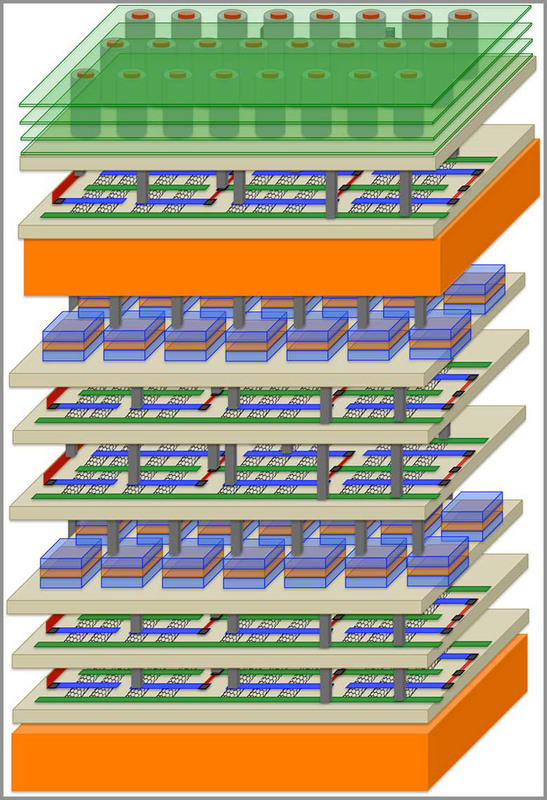 N3XT will break data bottlenecks by integrating processors and memory like floors in a skyscraper and by connecting these components with millions of “vias,” which play the role of tiny electronic elevators. The N3XT high-rise approach will move more data, much faster, using far less energy, than would be possible using low-rise circuits. “We have assembled a group of top thinkers and advanced technologies to create a platform that can meet the computing demands of the future,” Mitra said. “When you combine higher speed with lower energy use, N3XT systems outperform conventional approaches by a factor of a thousand,” Wong said.